Srisailam is a temple town in the Nallamalla hills, on the banks of Krishna river. The serpentine river flows like a secret, deep and still. It is a steep climb down to the river, from the town. The main ghat is crowded with devotees who travel miles to bathe in the holy river. 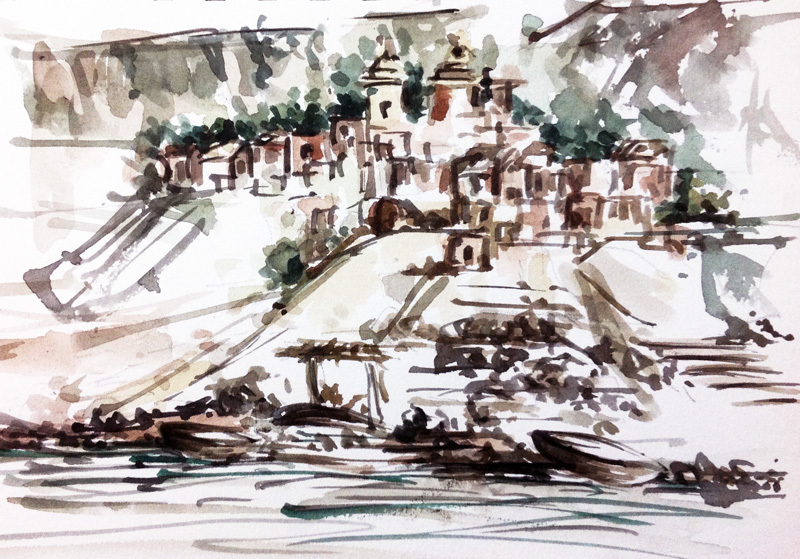 I sat at two locations away from the main ghat, to paint. The first one gave a glimpse of small temples across the river. 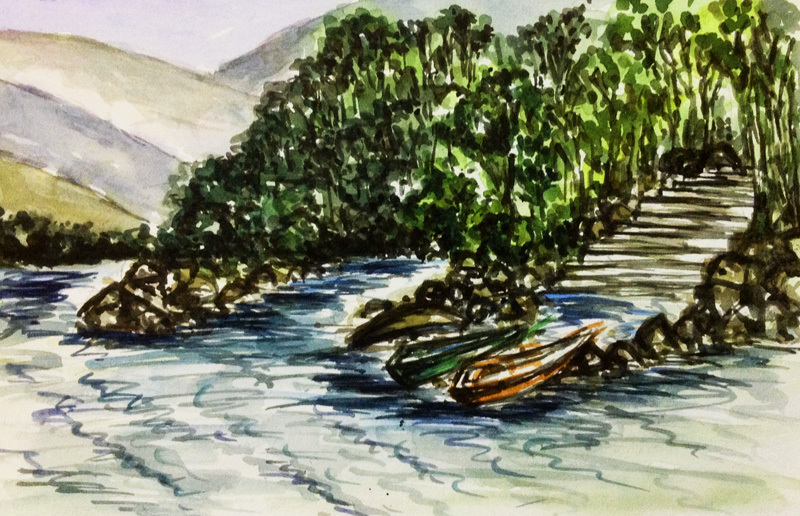 And from the other location I painted a private ghat, nestled in a dense forest cover.